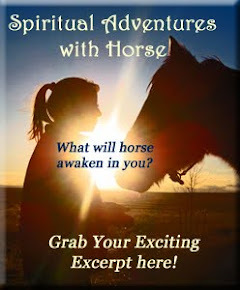 Equi-Heart Pledge: Day 23: Grounding Your Visions with Horse! I don't know about you- but I often forget to ground my energy! Which is a tad bit like running around like a root-less tree!!! Not so easy to not fall flat on your face without your roots! Horses are masters at staying grounded- which is important if you want to stay energized and manifest your visions for your life. Oops! Battery ran out there..bummer, because I was just about to share with you that because horses, for the most part, are Master Grounders, by being in their energy fields, with the intention to ground yourself, you can more easily access that stable, steady, grounded feeling that will propel you forward with more power than if you stay in your head. When we are not grounded it's easy to feel tired, overwhelmed, and find that our actions don't result in the success that they should. 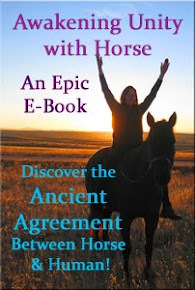 So join me and horses today to ground your visions into Mother Earth. Here's how: Stand or sit, take a few big deep breaths, allow your energy to flow from the top of your head into your feet, bend your knees, sink further into your contact with Mother Earth and feel her supporting your next move with magical grace and ease! Now flow from there and tell me how it goes!